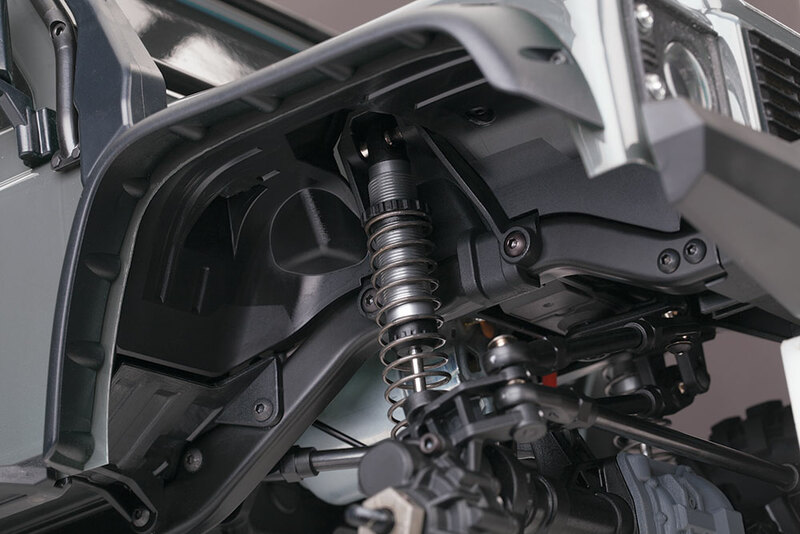 Underneath the authentic scale look is a machine built for extreme off-road capability that takes you to new places and new adventures. 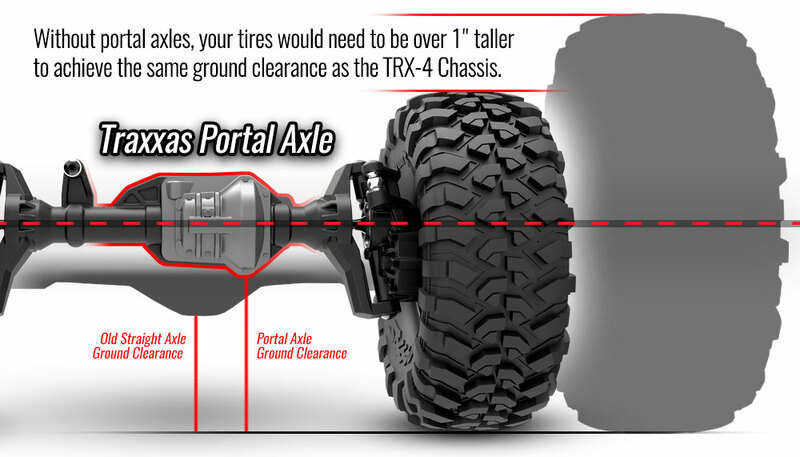 Exclusive portal axles deliver maximum ground clearance that dramatically turns “no way” into “no problem.” Whether you are enjoying outdoor trails or getting technical on the rocks, the remote-locking front and rear differentials and high/low range transmission provide unmatched driving versatility. 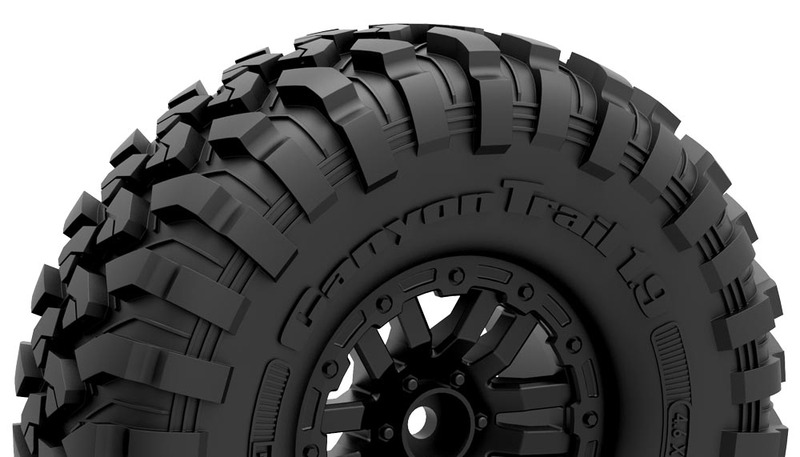 The 1.9" Canyon Trail tires and tuned foam inserts are super-soft and grippy to deliver superior bite on rocky surfaces with convincing scale realism. 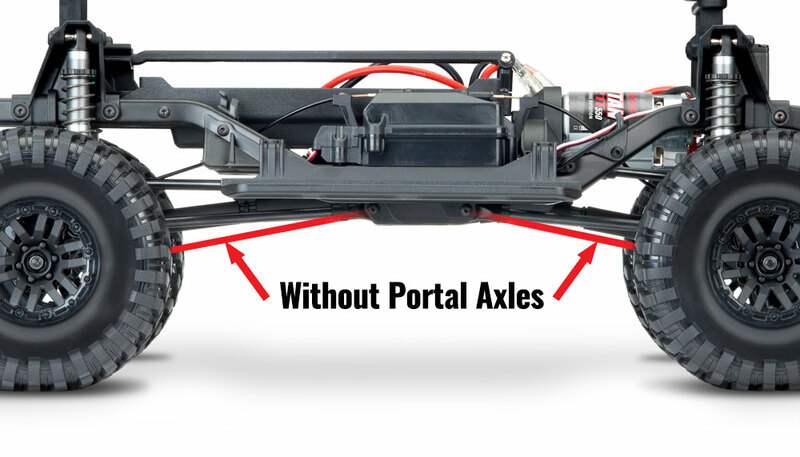 The 12 mm steel hex drive makes the TRX-4 chassis compatible with popular 1.9" wheel and tire combinations. 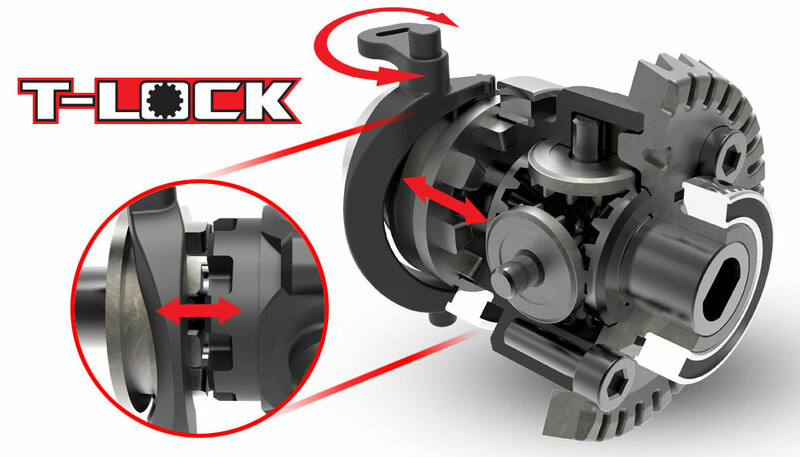 Leave the tools in the bag! 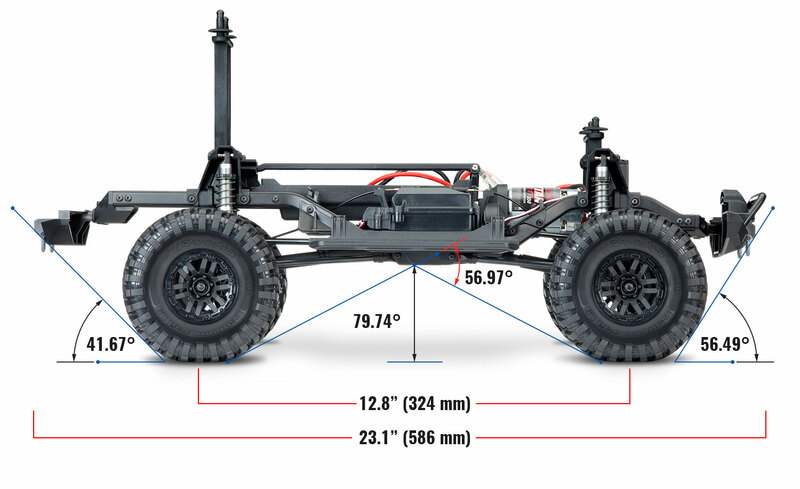 The Traxxas TRX-4 chassis is built to handle the rigors of remote locations and all-day driving fun. 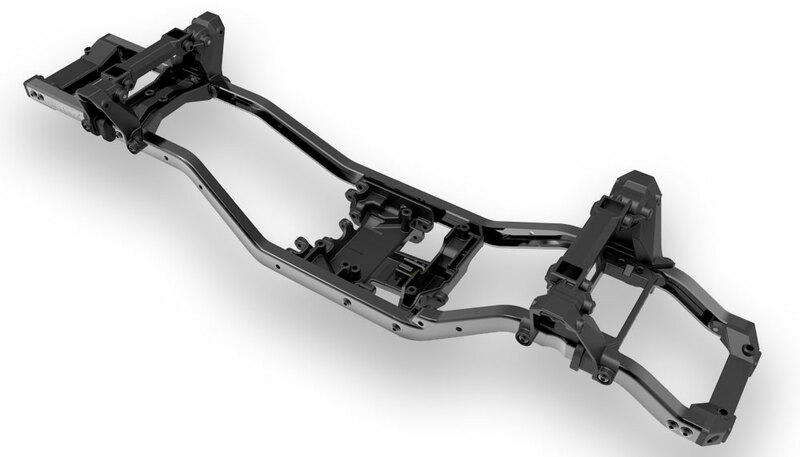 The foundation begins with a pair of 1.5 mm thick steel frame rails. 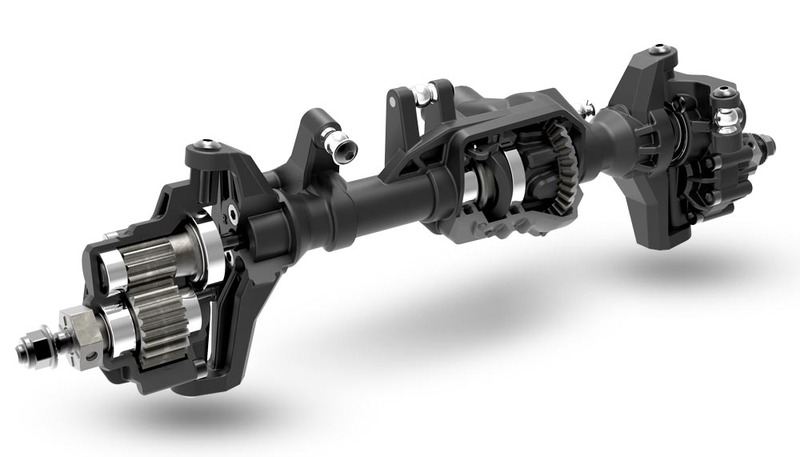 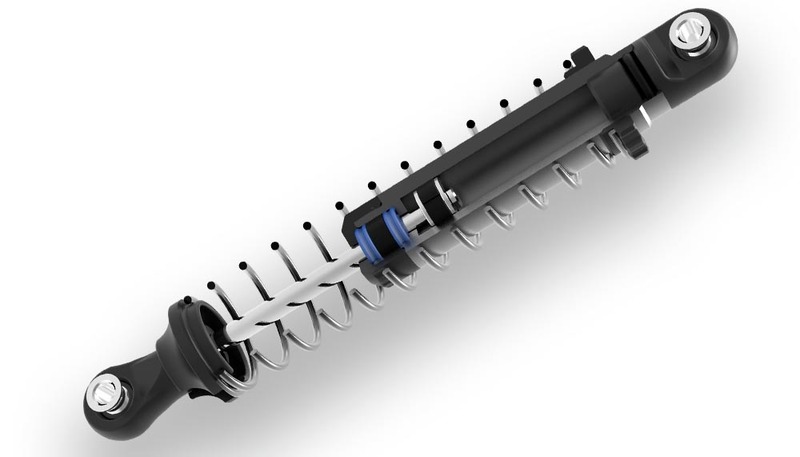 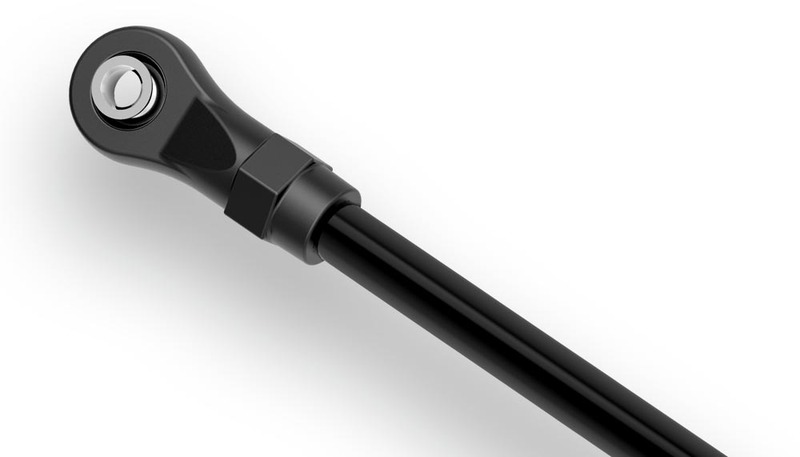 Large diameter steel links and heavy-duty, extra-wide rod ends keep the suspension firmly mounted. 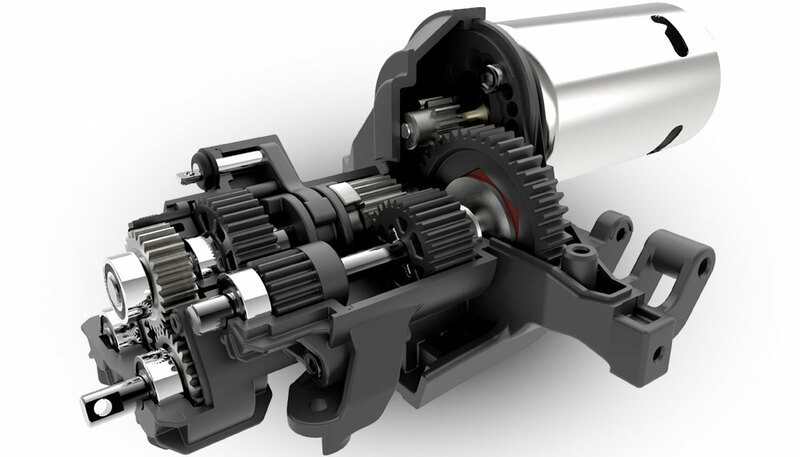 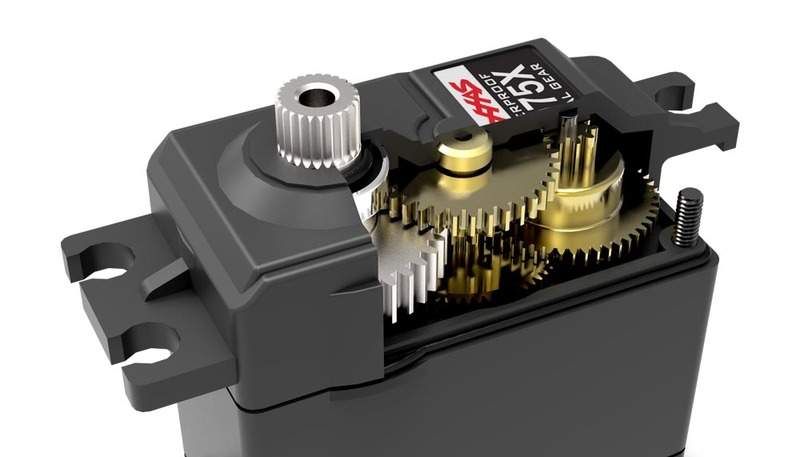 Hardened steel CV-style half-shaft joints are ultra reliable, while the brushless-ready steel portal axle and transfer case gears are smooth and quiet. 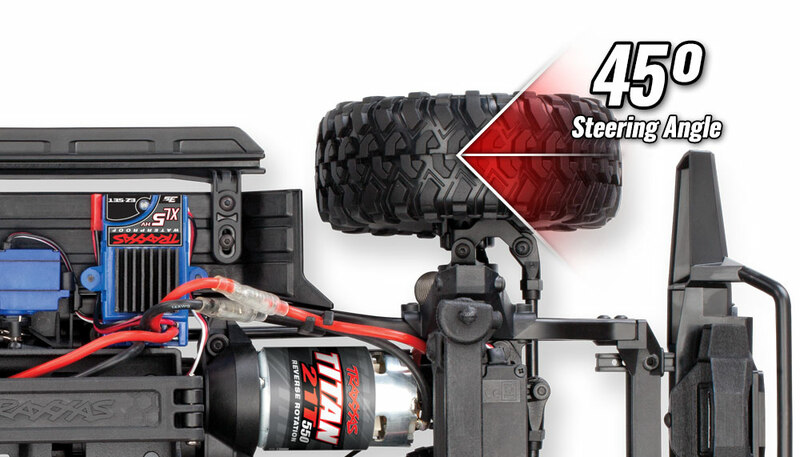 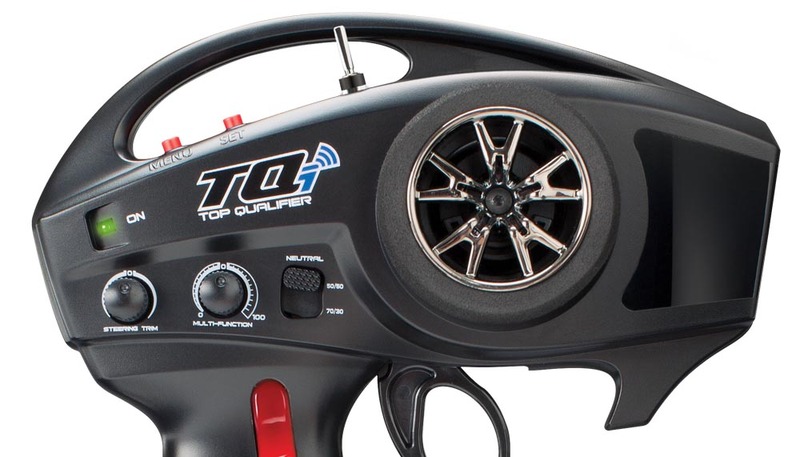 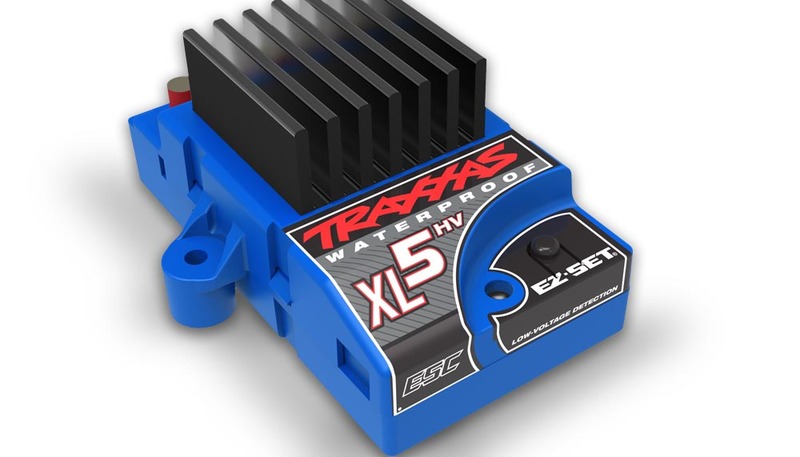 Traxxas’ composite materials have been refined over three decades for the ultimate in strength and durability. 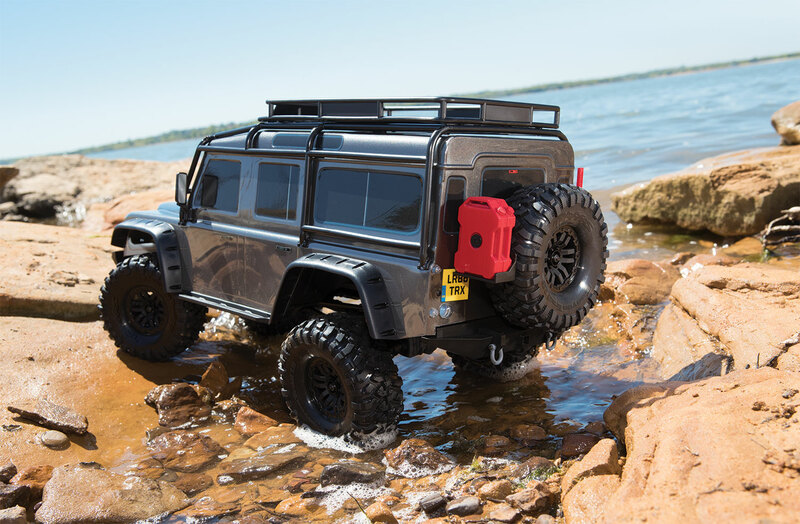 Land Rover and the Land Rover Logo are trademarks owned and licensed by Jaguar Land Rover Limited.